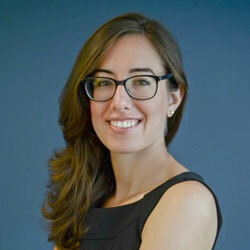 Lauren Smith, CIPP/US, is a Senior Policy Counsel at the Future of Privacy Forum (FPF), where she focuses on big data and the Internet of Things as related to connected cars, data ethics, algorithmic decision-making, and drones. Lauren leads the FPF Connected Cars Working Group, and serves as an expert and thought leader across the country through speaking engagements, media interviews, and interaction with state and federal regulators and strategic partners. Learn more about Lauren’s’s work by reading The Future of Mobility in a Connected World: FPF’s Lauren Smith on Connected Cars, Data, and more.